The never ending dilemma regarding the on again and off again relationship surrounding the white iPhone 4 is surely testing the patience of many people out there – especially considering it was expected to become available last summer. As much as one would love to finally get some concrete information, now the latest set of speculations pin point to a surprisingly close launch – yet, we might find that people are not interested as much anymore. 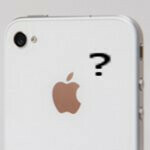 Based on Bloomberg’s three unnamed sources, Apple is scheduled to finally launch the white iPhone 4 – and yes, it’s for both AT&T and Verizon. Furthermore, one of the sources pointed out that it would become available by the end of this month. At this point, people have truly exhausted their patience waiting around for this thing to finally come to fruition – so it might not matter as much. Then again, if the rumors about production for the next iPhone being pushed back to September hold up being true, thus missing out on that traditional summer time release, then the white iPhone 4 would seemingly be the freshest thing to come around for some time. I would like to say it's too late. That anyone who wanted an iPhone 4 has one. That no one will buy it. But people will buy an iPhone all the way til the day before a new one comes out regardless of how dumb it may sound. And we should care about what you say because? I've been wanting a white ip4 forever, and I am not the only one. I will sell my black ip4 right away when the white one does come out. And my black ip4 would still be priced reasonably well. You fandroids should stop being bitter. Let users do whatever they want with THEIR MONEY. Fair comment gemini... but how about this then. iDevice users have to stop proclaiming Apple as so great as it is because of the money it makes off the people so willing to throw their money away at Apple in the first place. Who's proclaiming what? The iphone has been garnering awards left and right. The iphone has been getting great reviews year after year from tech PROS. So it's not like we're claiming that the iphone is great and then it ends up as the worst phone of the year. There's a GOOD reason why the iphone is selling so well. It is a great device. No reason to start an OS war here. Apple and Android both have their fanboys(of which you are obviously one of Apple's) but the majority of people will buy what works for them. I personally prefer Android and use the Droid Incredible. I have friends and family that prefer the iPhone. It all comes down to preference. I like to tinker and customize my phone, I can't do that with an iPhone without jailbreaking, I can with Android. There are many others that feel the same way, just like there are many who don't feel the need to customize and like the ease of use of iOS. Bottom line, don't start OS wars just because you're a blind fanboy. Personally, I feel the white iPhone really shows how big the bezel on the iPhone is. It's an eyesore to tell the truth. I hope not... that thing is hideous. I can admit the black looks nice. The white is a friggin joke. It seems like a lot of people are commenting on these message boards that the white version is a waste of Apples time and that people could care less about the color, but traditionally white versions of Apple products are more popular so I guess the white phone fans are just not speaking out. I admit that there are some “vanities” that people who don’t buy Apple products may not be concerned with, and since my whole family has iPhones (all white except me) we are very concerned about what people are thinking when they see us pull out our iPhones and watch my DISH Network Sling adapter enabled mobile TV. I’m sure they are all thinking, “What kind of person buys all of their kids iPhones?” My kind. I'm not saying it's a waste of Apple's time, because people obviously want it. I work for AT&T and we STILL get questions about when it'll be available in white. But I do have to wonder WHY. I admit the white one is prettier, but if you already have the black one, doesn't everybody put a case on it anyway? I don't know anybody who doesn't put a case on their iPhone.